The greatest dialogue in plays, films, or books, manages to impart that which is said and that which has been left unsaid. The elephant in the room, as it were, will keep everyone guessing. A literal definition of subtext describes a message which is not stated directly, but can be inferred. 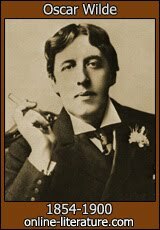 It pertains to the hidden, less obvious meaning perhaps archly delivered by some of our greatest actors. How is it done? Isn’t dialogue hard enough without adding this to the mix? The answer is yes. Studying the book entitled,Writing Subtext: What Lies Beneath, by Linda Seger I have gained some insight as to how a writer can manage to achieve this. If the audience is let in on a secret, there will be much that can be read into the simplest of statements. A daughter may pretend to like the suitor her father picked out for her, but if we know that she secretly loves someone else, there will be a subtext to all she says. If a mother only wants what is best for her son, but does not want a daughter-in-law who is above her in social standing, she may seem to be welcoming this newcomer, but we will read into her attempts to be friendly. In some cases, such as the world of Shakespeare’s Hamlet, the whole of Denmark can be slightly rotten. If the road to power is suspect, the dialogue will be full of subtext. Obviously, Shakespeare was a master at this skill. He would even have a character walk downstage and let the audience in on a few secrets. A sudden windfall, an unlikely suitor, a change of leadership, or even a new invention, can put all known truths under a new microscope. Perhaps everyone is trying to make an adjustment, but no one wants to. There you will see subtext. A character at odds with the culture about which the audience is familiar will provide many a laugh as the poor fellow bumbles along, unaware of his missteps. Subtext is an essential tool in the comedian’s toolkit. In a tragedy, the very elements left unsaid, can be the ones propelling everyone to their doom. By the time the guests arrive, we have learned that both Bunbury and the Jack/ Ernest situation, are used as an excuse. When in town Ernest must leave at once as his brother Jack is in a pickle. When in the country, it is Ernest who calls him away, thereby providing the perfect excuse to escape social functions to which he is less than enthusiastic. Bunbury provides a similar ruse. Through the remaining scenes of this immortal play, all references to these characters are loaded with subtext. Characters sometimes do not know themselves. Their most basic drives and instincts may be covered up by social convention, or self-delusion. The stage may be full of actors whose roles are at cross purposes. Therein lies the subtext. This entry was posted in Uncategorized on November 13, 2014 by Elizabeth Smythe Brinton. My dear boy, I suppose you find it hard to think of yourself twenty-one years ago, but the dear little chap who used to love me so much and put his arms around my neck, and climb up on my knee, and play ball and do all the other little things which you won’t think anything of until you have children of your own, are all on my mind. Well dearie, you are a man now and your own master as I have always tried to have you be. I may not have done as well by you as I hoped, but you are all I could wish in the main things, clean, truthful, brave and generous. I think you will have enough regard for the old days to keep these things in your heart all your life. You are going on a high quest now, not for yourself but for all the world. I have never bothered you much with religion, but I want you to feel that you are at all times in the care of the Master and that He will be with you in times of difficulty or danger. Even though you stand in the shadow of death you need fear no evil for He will be with you if your heart is turned to Him. The war has interfered with many plans I had for you. You are going to England but not as I expected. I do not know what another year may bring, but we are all in the hands of the Eternal. I hope you won’t think of this as a sermon or a screed. It is just a loving word from your old Daddy to wish you all the best things in the world, and to kiss you goodbye as you go away and leave all the old times behind forever. Don’t forget, no one will ever love you better than I do. It makes me all the sorrier that I have such a poor way of showing it. God bless you dear, now and always. By the grace of God my grandfather lived and came home to raise a family. A recent book, released in Canada last week, depicted many of his experiences in the war. 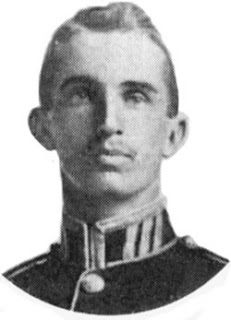 He was at all four major battles: Ypres, the Somme, Passchendale, and Vimy Ridge. 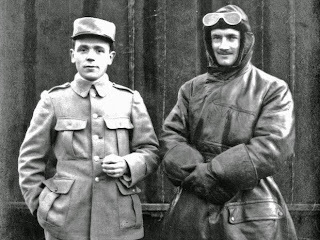 He was also a fly boy, and in this book, I saw a photo of him in his leather coat, leather hat and goggles. At one point, his plane was shot down and even though he was wounded, he managed to land it in an obliging field. He said it fell in circles as a leaf comes down from a tree. Conn Smythe in flight gear. Mercifully, they managed to land and as they scrambled out of the plane, they saw a man waiving to them frantically. Feeling they were about to be rescued, they headed for him only to learn to their horror that it was a German. He pointed his gun at my grandfather’s chest and pulled the trigger, twice at point blank range. Luckily, the soldier missed and my grandfather later told us that it was the force of his wrath and will that somehow steered the bullets into his coat, passing him by completely. After this brush with death, he was taken prisoner and later escaped. Eventually captured, he had to spend the rest of the war in solitary confinement. To read of all these tales so many years later, to learn of the horrific carnage, and see photo’s of his old friends and teammates from home, many of whom did not return, makes me so cognizant of the merest thread separating us all from life and death. 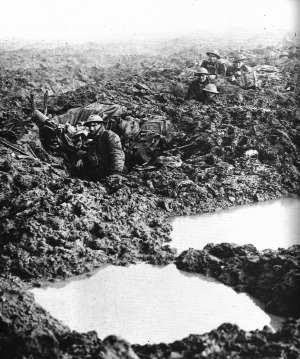 We have not lost sight of all the brave Canadians who died so far away from home. We pause in silence this Armistice Day, at eleven am on 11/11/ to remember all the fallen on all sides, and pray, as always, for a real, lasting and enduring peace. This entry was posted in Uncategorized on November 11, 2014 by Elizabeth Smythe Brinton. HBO has released a brilliant rendition of Elizabeth Strout’s Olive Kitteridge. Years ago, The Best Food Ever Book Club chose Strout’s novel as our February selection. The discussion was varied and intense. While this is not unusual, the character of Olive was argued over through most of the dinner. The novel, structured on a collection of short stories, is a character driven book. It is not without drama and won the Pulitzer Prize in 2009. Set in the small town of Crosby, Maine, it would classify as a place driven story. Yet, it is the characters who really make up the narrative, and the way Olive is drawn first by Strout, and then played brilliantly by Frances McDormand is amazing. How do I love seeing a great adaptation of a story I could imagine as well as if I were in the room. Olive is a math teacher. Her role as a wife, mother and teacher gives her a sense of authority that is at best a bad habit, and at worst a distinct flaw. Her blunt, sharp-tongued, and caustic responses wound everyone around her. I know she can’t help it. How do I know this? There have been people just like her in my midst. Olive is also nurturing; she is an avid gardener, and she cares for those if she knows who are suffering from mental illness. She spots a young man, one of her former students, on the verge of suicide. We learn her father died by his own hand. She is tough and hard-boiled, but not all the way down to her core and that is where the story keeps emerging. When we see her disapproving and judgmental expressions, we know she will let fly. Sometimes her acidity takes us by surprise. You are always on your guard around people like her. They keep you on edge. It seems that the minute you start to get comfortable, or are gaining confidence they will cut you off at the pass. It is complacency she fears the most. Henry, her husband, played fantastically by Richard Jenkins, is the kindest and most genteel of men. How does he put up with her we wonder? We grow to learn that when the chips are down, and I mean flat down to the bottom, Olive will be in your corner. She is like the tough old nurse all the young ones fear, but when you are in a pickle, she will pull you through. There is humor in how Olive negotiates through the town, and through the years. The costumes, scenery and sets are just as I pictured them. Weathered shingles, porches done in a dark green stain, plaid shirts on women and men, a family dining at a wooden table in the kitchen. 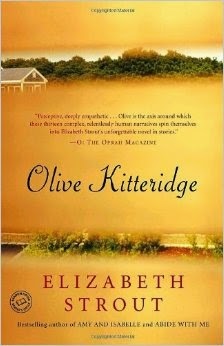 If I were ever teaching a creative writing class in creating characters, or an acting class in depicting characters, this book, Olive Kitteridge, by Elizabeth Strout would be an excellent place to start. HBO has produced an outstanding adaptation, and this character driven story will be an American classic. It was dreary here on Windy Bay today. A back strain restricted my activities. Binge-watching the show through the afternoon turned into a rare delight. This entry was posted in Uncategorized on November 8, 2014 by Elizabeth Smythe Brinton. 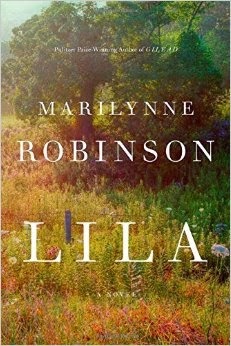 Because I was so deeply enthralled in Marilynne Robinson’s Home, it was a joy to purchase her new book, Lila. Now that I have read it, I find myself in her camp once again. Her style is very intimate and the world she describes feels familiar, even though the town is fictional. Some would call it a ‘quiet’ book, but I hesitate to describe it in such terms. Delicate and nuanced would be more to the point, as she delves into the thoughts of her protagonist, an unfortunate lost soul who finds love in the home of an aging minister. It intrigued me to read the second book of Robinson’s set in the graceful home of a minister. With a Pulitzer Prize for Gilead, in 2004, and numerous other accolades and shortlisted novels to her credit, one would assume that she would be free to set her books wherever she would like. She has protagonists discussing Biblical passages and Home, published in 2008, is a tale of the prodigal son returning to his father’s house. In reading about Marilynne Robinson’s life, I learned that she grew up in Sandpoint Idaho. She currently lives in Iowa and teaches at the famed Iowa Writer’s Workshop. How she ever explains these to realities to public at large, makes me smile as people perpetually mix up Iowa and Idaho. Housekeeping published in 1980 is set in Sandpoint, but Gilead, Home and Lila are placed in the fictional town of Gilead. There is a flavor or a hearkening back to a particular American style that has always been precious. It exists in Canadian literature as well. The outside world can be harsh, the environment, difficult, but there is a place of refuge, behind closed doors, where life unfolds quietly, and with dignity. It makes the reader picture shafts of light coming into the parlor where a few carefully placed chairs seem comforting and familiar. Last week, I read something on Twitter bemoaning the ‘quiet’ novel, and the dearth of women’s fiction understandably bent in this direction. “Something has to happen. It has to have a plot,” advises one literary agent. I have always been fond of writing that gently wraps itself around me as if it is a warm blanket. My cousin once put a picture on my Facebook timeline where the pages of book take on a human form and wrap the reader in a hug. That is how I see Robinson’s Lila. What if we were completely alone in the world and understood almost nothing? How would we manage? Lila reaches that part of all of us that feels alone, neglected and abandoned. While the great majority of us have never been forced to deal with such a bleak existence, there lurks in us, a deep fear we experienced as children listening to Hansel and Gretel. It is that very private spot in our psyche that this book embraces. Recently, Marilynne Robinson was the guest of Bill Moyers. Even in this interview, I find that there is something of her elegant writing in every sentence. This entry was posted in Uncategorized on November 5, 2014 by Elizabeth Smythe Brinton.